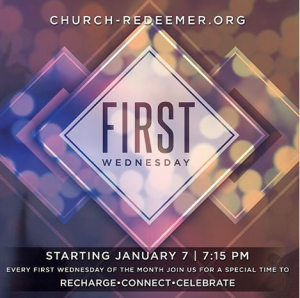 Make sure to be part of our First Wednesday service tonight at the Gaithersburg and Frederick Campus at 7:15 PM. This is a time to recharge yourself in the Lord, connect with God and His church, and celebrate all that He has done for you. Be here, bring someone and send Evites to family and friends!